We really care about recruiting the right people and engaging, rewarding and developing them throughout their journey with us. We pride ourselves on having a diverse workforce that shares a common purpose. Our journey is an exciting one - founded in 1884, we’re still growing, thriving and protecting the interests of our members. We’re currently the 8th largest lender in the UK, with over 2,000 employees. We’re proud to be a building society and part of our vision is to be as simple and straightforward as possible and there are plenty of opportunities to work with us and make things happen. We’re always looking for talented people to join us. But it’s important that our people aren’t just brilliant at what they do – we need them to share our values and understand that working here is all about putting members first. You bring the potential - we help you realise it. It’s the way work should be. Our CARES values are at the heart of everything we do. Put simply, they’re part of our DNA, they’re what drive our everyday behaviour, and we’re really proud of that. By sharing these values, we’ve built a culture where everyone feels they belong. Caring - consideration, respect and understanding, an environment where we share the same values. Attentive - creating an environment where your potential is recognised and results in opportunity. Reliable - serving the interests of our members, your colleagues and the community. Ethical - doing the right thing, being open, honest and inclusive. Straightforward - keeping it simple and having the room to continuously improve and evolve. Looking after the wellbeing of our employees is important to us. 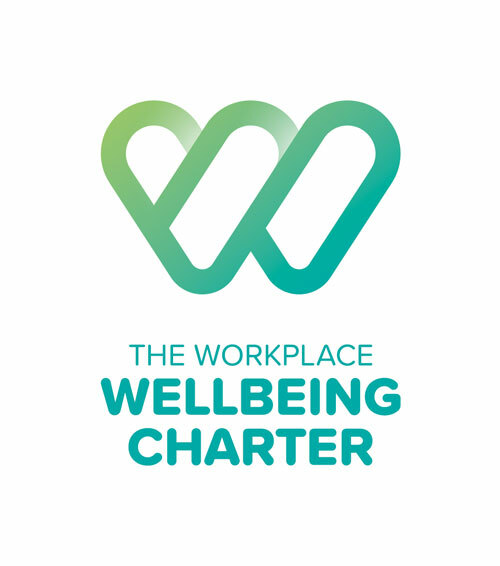 We’re pleased to have been accredited by the Workplace Wellbeing Charter, a national accreditation standard that recognises our commitment to the health and wellbeing of our employees. The accreditation assessed the Society in eight areas of wellbeing including leadership, mental and physical wellbeing. The Charter not only recognises the work we’ve done, but will also help shape the future of wellbeing at the Society. We secured a two-star accreditation from Best Companies – the employee engagement specialists. The accreditation recognises outstanding levels of employee engagement in the Best Companies survey, which looks at areas including leadership, my team, personal growth, giving something back and wellbeing. Jonathan Austin, CEO and Founder of Best Companies, said: "I would like to congratulate Coventry Building Society on their outstanding achievement. Our role at Best Companies is to support and encourage organisations to be great workplaces for their employees. An engaged workforce means happier, healthier, more productive and committed employees, which is clearly good news for all. We are delighted to recognise the Coventry by awarding them two star status in our Accreditation standard". 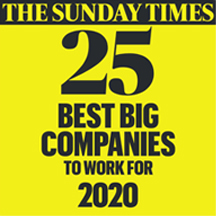 We are delighted to be awarded 47th place in The Sunday Times 100 Best Companies to Work For in 2019. We see employee engagement as going hand-in-hand with our commitment to putting members first – by making sure our people are engaged and happy in their work, they will be motivated to do the best job they can for our members. However, we recognise that there’s still work to be done, and we're committed to making changes to ensure that our employees are engaged with us both now and in the future. We care about our people and we’ve created an environment where our employees enjoy coming to work. 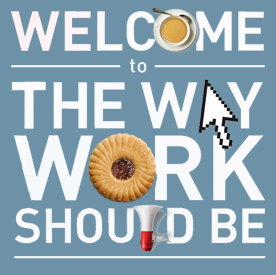 We encourage and support people to strike a healthy balance between work and home life. And we’re constantly improving things to make sure everyone feels valued. Our employees can also take advantage of offers and vouchers for a range of items - from sports events and days out to holidays, shopping vouchers and cinema tickets. We listen to what people want and we’re always improving, making sure everyone can develop both at work and personally. We know that salary and benefits alone aren’t everything – it’s just as important to us that our people are happy at work. For us, wellbeing is about much more than complying with legislation. We want to go far beyond this and create a working environment where you can flourish and feel comfortable, healthy and happy - that’s the way work should be. Our wellbeing strategy is centred on the three pillars of Mind, Body and Spirit. ‘Mind’ focusses on emotional and mental wellbeing and we support and seek ways to enhance this for everyone. We recognise that a broad range of factors can influence emotional wellbeing and for this reason, our programme covers a diverse range of areas such as learning, flexible working and mental health. ‘Body’ centres on physical activity and includes hydration, diet and fitness. We encourage our employees to take regular breaks away from their desks and we provide a number of spaces at each location for eating, socialising or even playing table tennis! We also provide free fruit in head office locations, milk for tea and coffee and squash to help you keep you healthy and hydrated. ‘Spirit’ describes the essence of our wellbeing programme, how we share our wellbeing experiences, how teams come together to determine their own wellbeing practices and how we create communities within the Society and use technology to enable this. Our people are instrumental in our success and we’re committed to developing their skills and experience. We understand that every individual has different aspirations so we offer a tailored approach to talent, learning and development. Your development starts as soon as you do. Your two-day induction is a comprehensive welcome to the Coventry so you’re off to a great start with us before you take up your role. Throughout your time with us, we encourage and support you to progress, whether you want to develop your skills or you’re taking the next step in your career. Take opportunities to learn from your manager and team, complete our eLearning courses and attend workshops and training sessions. Use our training facilities – there’s plenty of space and technology to enable your learning. We even have a mock branch where our customer-facing teams perfect their skills in a realistic environment. Find external training courses, further education and professional qualifications that you’d like to work towards – there’s lots of support. And of course, not everyone has their eye on climbing the career ladder. If you’re happy where you are, we’ll help you be the best you can be. You bring the potential – we help you realise it. Different people bring different ideas, skills and perspectives. And, we’re better equipped to put members first if we have a diverse workforce of talented people, representative of the communities we live and work in. We want everyone who works at Coventry Building Society to feel engaged, valued and respected. We’re proud of our commitment to diversity and we know it’s important to be upfront and share our strategy to ensure it translates fully into our everyday lives and really makes a difference. Click here to find out more about our commitment. If you can't find the role you're looking for after searching… register with us and sign up for job alerts as we're always keen to hear from talented people for future vacancies. Coventry Building Society is authorised by the Prudential Regulation Authority and regulated by the Financial Conduct Authority and the Prudential Regulation Authority (firm reference number 150892 www.fca.org.uk). Coventry Building Society. Principal Office: Economic House, PO Box 9, High Street, Coventry CV1 5QN.